Part I: How adoption of AI is transforming financial sector in modern times? Artificial intelligence is changing every process and every industry it touches giving us a highly robust, viable and sophisticated system in which operational execution gets better. The banking industry in last couple of years come a long way in adopting AI-powered solutions including, Natural Language Processing, machine learning and predictive analytics. While conventional software approach is rigid in defining the executional rules, artificial intelligence creates a flexible environment where rules depend on the data fed to its system. This means that banking can leverage this very cognitive ability of machines to think logically and deliver the output that fits close to what is expected. Due to AI-based algorithms, banking and finance solutions become highly automated, personalized and competitive. The most positive aspect of AI banking and finance apps is its ability to develop their own desired, customer-friendly system specific to respective business model. Here we are going to take a brief glance at how AI-powered apps are transforming the existing financial and banking sector. The story is divided in two consecutive parts where the first will depict the disruptive force of artificial intelligence and active Finance and Banking applications powered by AI. The next will focus on the ways finance structures will benefit from the implementation of AI technology. Industries like insurance have already looked to Artificial Intelligence and Machine Learning for easing its several operations. Banking is also prepared to use AI apps for its critical operational segments such as asset assessment, loan approval, credit score and risk calculation, customer portfolio, and now, personalized recommendations. Incontestably, at this moment, Chabots are a significant part of AI revolution that embodies the ultimate success in human-like interaction. Simulating human conversation at a great scale, AI chatbots are now becoming a common catchphrase in everyday life, transforming general as well as corporate lifestyle across the world. These bots rely on Natural Language Processing software programmed to understand human context of inputs (voice/text) to deliver most relevant or expected responses. Banking industry where customer inquiries and requests overwhelm the system throughout the day, AI-powered chatbots come handy in automating the customer care service interactions. Computers do not have organic capability to handle loads of requests fruitfully. Hence, AI comes to execute service tasks with rules defined by human forces. The approach yields maximum output and helps financial bodies focus on other crucial challenges to attain the growth they conceived. Amy is another virtual chat assistant for corporate banking model of HSBC, Hong Kong. The chatbot is designed to deliver instant resolution 24/7 to incoming consumer inquiries 24×7. Amy responds intelligently to both English and Traditional Chinese and is equipped with a superior cognitive customer feedback mechanism that helps evolve the answers and responses to generic repeated inquiries. HSBC is committed to improving the platform’s AI algorithm while planning to artificially intelligent capabilities with human interventions pertaining to more complex questions. Sweden’s SEB has employed Aida for intelligent assistance required to look after front-end customer queries. Active since 2017, Aida handles staggering 13% of the bank’s incoming queries of IT support along with customer service queries regarding cards, account and meetings scheduling. Although SEB has faced certain challenges in natural language processing due to Nordic language complexities, the bank is quite optimistic about improving the AI platform capability by capitalizing on saved customer data, which will help address customer requirements in future. In order to innovate existing organizational practices and leverage powerful technologies, Well Fargo embarked on establishing an AI-driven solutions team early this year. The company invented an AI-based chatbot system with Facebook Messenger. This virtual assistant system interacts with users to share account information and helps with password reset. The intelligent technology allows Wells Fargo to create a chat environment, simplify tedious on-site navigational experience and revamp it into a straightforward conversation. The solution not only saves time for busy customers but also offers sophisticated convenience. 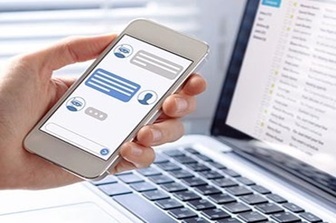 Early this year, The Commonwealth Bank of Australia (CBA) rolled out Ceba, a chatbot designed to assist customers with many everyday challenges. The technology helps customers performing over 200 tasks, including card activation, payments and transactions, account balance inquiries, cashless withdrawals and more. CBA aims to utilize the full potential of NLP, machine learning and conversational AI platform to enable Ceba to process more than 500,000 repeated customer queries about myriad banking activities. The AI market is growing rich and intense with more intelligent apps. In next few years, as technology advanced and evolves, more mature and innovative apps are expected to rise across multitude of industries. This was the first part of the blog that shed light on popular well-integrated AI apps built for most established banking and finance companies. The follow up content to this blog studies how organizations are likely to experience the powerful impact through adoption of AI-powered apps in banking and finance sector.